Almost every business owner needs a website to effectively market his or her product. Your website is like a digital business card; it’s your introduction to new clients. That’s why search engine optimization (SEO) has become such an important practice. You want your website to rank highly in Google searches so that people in need of your services can find you online. Google’s search function works because the search engine is able to constantly index new web pages as they are being created. A recent indexing bug hampered that process. Here’s what it means for you. Digital marketers use a tool called “Google Search Console” to track the search metrics for a website and its various web pages. Once Google has indexed a new page, you can begin monitoring important search metrics related to that page. The indexing bug obviously gummed up that process. The good news is that the indexing bug has been fixed by Google, so any new web pages — let’s say for instance, website blog posts — are being indexed. However, Google Search Console hasn’t completely caught up yet, so you may not be able to see metrics about newer web pages. If you’ve never heard of Google Search Console before now, you may want to learn more about this handy, free tool. Google Search Console is used by webmasters to check the optimization of web pages. Via Google Search Console, you can determine whether or not there are any linking errors on your site that may be preventing users from seeing particular pages. You can also set a preferred URL for your pages and add/edit owners for the web property. This is a vital tool for anyone managing a website, or anyone who wants to know more about what’s happening with their website. 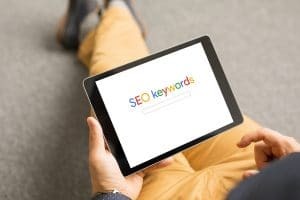 One of the most valuable aspects of this online tool for digital marketers is that it allows them to see which keywords are leading people to click on your site, and what the click through rate for pages on your site is. Are people clicking through to find the information they’re after? Are they using the keywords you would expect when finding your site? You can actually use these metrics to help determine what sort of content you should be focusing on in your website’s blog. Google expects the Search Console bug to be resolved soon. We are a digital marketing firm that specializes in dental practices. If you feel excited-but-overwhelmed by a tool like Google Search Console, we’re here to help. Our team provides website builds, search engine optimization, and custom content for your website. Learn more about MDPM Consulting’s capabilities by contacting the Dallas, TX office at 972-781-8861.